The loss of prestige which Byzantium suffered through developments in the West was of more importance historically than the military failures in Asia and the Balkans. It was the tragedy of the old Empire that, at a time when one of the greatest rulers stood at the head of the Frankish kingdom, its own history was determined by women and eunuchs. By incorporating Bavaria, Christianizing and absorbing Saxony, by expanding his territory at the expense of the Slavs in the East, destroying the kingdom of the Avars, and by overthrowing and annexing the Lombard kingdom, Charles the Great had made his realm the paramount power in the Christian world of his day. In suppressing the Lombards he had succeeded where Byzantium had failed, and this failure destroyed the authority of the Byzantine Empire in Rome. At the same time the Church of Rome strengthened its alliance with the kingdom of the Franks and decisively turned its back upon Byzantium. Even the fact that the ecclesiastical conflict between Rome and Constantinople had been resolved at the ecumenical Council of Nicaea, that Byzantium had returned to orthodoxy and was more zealous than ever in support of icon veneration, could not materially affect the situation. The Council of Nicaea had not fundamentally reconciled these two world powers. Rome anticipated the withdrawal of all measures taken against her during the iconoclast epoch, both in the sphere of religion and ecclesiastical politics, and she therefore expected complete restoration of the status quo, especially the return of the papal patrimonies and the restitution of Roman rights of jurisdiction in South Italy and Illyricum. Constantinople refused to listen to these demands and at the Council of Nicaea the question was not even raised. The relevant passage in the message of Pope Hadrian I to the Byzantine rulers was simply omitted from the Greek translation read before the Council. Those clauses in which the Pope claimed the right to censure the uncanonical consecration of the Patriarch Tarasius and to protest against the title of 'oecumenical' Patriarch ^ere likewise deleted; and the many passages in the papal communication which raised the question of the rights of primacy of Rome, or even only of the primacy of St. Peter, were carefully suppressed (1). The Papacy was virtually excluded from the East, just as the Byzantine Empire was excluded from the West. Although the Roman Church seemed to be in agreement with Byzantium on the burning religious issues of the day, there was no advantage to be derived from an alliance with Constantinople. But an alliance with the famous conqueror of the Lombards, on the other hand, promised much, although any understanding with the Frankish king on the question of icons appeared difficult and demanded considerable concessions. In a fierce controversy which found its ultimate formulation in the famous Libri Carolini, Charles the Great rejected both the iconoclast standpoint of the synod of Constantine V and the iconodule attitude of the Council of Constantine VI and Irene. The Libri Carolini were intended to emphasize the religious independence of the Frankish kingdom in opposition to Byzantium and their purpose was above all political. It is therefore immaterial that the real polemical issue was avoided and that the Latin translation of the Nicene documents laid before Charles the Great completely misrepresented the decisions of the Council by gross linguistic errors and misunderstandings. Furthermore, neither was the standpoint of Charles the Great at one with the actual views of the Nicene Council; it coincided rather with the old conception of Gregory the Great, who likewise had rejected both the destruction and the veneration of icons. In the face of all warnings and advice addressed to him by Pope Hadrian I, the Frankish king persisted in his attitude and the Pope was finally compelled to give way. The veneration of icons which the Council of Nicaea of 787, in agreement with the two legates of Hadrian I, had demanded of every pious Christian, was condemned in 794 at the Frankfurt synod in the presence of two other representatives of the same Pope (2). Although the problem of icons was nothing like as important for the West as it was for Byzantium, and although the specific association of the use of icons with the doctrine of salvation in Byzantine theology remained strange and even incomprehensible to the West, this step denoted considerable concessions and clearly showed that an alliance with the Frankish kingdom had become the corner-stone of papal policy. Hadrian I persisted in the undeniably successful policy inaugurated by Stephen II and unhesitatingly adhered to his alliance with the Frankish king. Carrying this still further, his successor Leo III then made a bold and fundamentally revolutionary decision which set the seal upon the admirably purposeful policy of the Roman Church in the eighth century: he crowned Charles as Emperor at Rome in the Church of St. Peter on 25 December 800 (3). The foundation of the Empire of Charles the Great had the same revolutionary effect in the political sphere as the later schism in the religious sphere. At that time it was axiomatic that there could be only one Empire as there could be only one Church. The coronation of Charles the Great violated all traditional ideas and struck a hard blow at Byzantine interests, for hitherto Byzantium, the new Rome, had unquestionably been regarded as the sole Empire which had taken over the inheritance of the old Roman imperium . Conscious of its imperial rights, Byzantium could only consider the elevation of Charles the Great to be an act of usurpation. Rome, too, accepted the idea of a single Empire and never had any intention of establishing a second Empire, but meant to install the newly-created Empire in the place of the old Byzantine Empire. After the deposition of the legitimate Emperor Constantine VI, the imperial throne of Constantinople was held to have fallen vacant. To Rome, as to Byzantium, the sole conceivable world order was a hierarchy of states, embracing the entire Christian oikoumene and culminating in a single Empire. In actual fact, from the year 800 onwards two Empires, an Eastern and a Western Empire, stood face to face. The separation between East and West, anticipated by a century's development and already evident in the era of the iconoclast struggle, was now an accomplished fact in the political sphere. The oikoumene had split into two halves which in language, culture, politics and religion were poles apart. Although the imperial coronation in St. Peter's had been the work of the Papacy and not of the Frankish king (4), Charles had to face the momentous consequences of his step; he had to secure that recognition from Byzantium without which his imperial title was legally invalid. Obviously nothing could be achieved by using the empty claim that the imperial throne of Constantinople was vacant in so far as it was occupied by a woman, or by maintaining that Byzantium had succumbed to heresy as the Libri Carolini attempted to demonstrate. So in 802 the ambassadors of Charles the Great and the Pope were sent to Constantinople. They are alleged to have brought the Byzantine Empress an offer of marriage from Charles in the hope of 're-uniting East and West once more (5). Shortly after their arrival a palace revolution broke out which deposed Irene ( 31 October 80 2) and postponed the solution of the problem. The revolt originated with the higher officials and officers of the Empire and led to the proclamation of Nicephorus, the former logothete of the treasury ( λογοθέτης γενικο ῦ ), as Emperor. Irene was exiled, first to the Princes' Islands, and then to Lesbos, where she died soon afterwards. General bibliography : K. Heldmann, Das Kaiserturn Karls des Grossen. Theorien und Wirklichkeit, Weimar 1928; P. E. Schramm, Kaiser, Rom und Renovatio I, Leipzig-Berlin 1929; G. Ostrogorsky, 'Die byz. Staatenhier-archie ', Sem. Kond. 8 (1936), 41 ff. ; W. Ohnsorge, Das Zweikaiser-pro blem im frühen Mittelalter. Die Bedeittung des byzantinischen Ketches für die Etttwicklung der Staatsidee in Europa, Hildesheim 1947; P. E. Schramm, 'Die Anerkennung Karls des Grossen als Kaiser. Ein Kapitel aus der Geschichte der mittelalterlichen 'Staatssymbolik', HZ 172 (1951), 449 ff. ; F. Dölger, Byzancy%an% und die Buropdische Staatenwelt, Ettal 1953, esp. 282 ff. ; V/. Ohnsorge, Abendland und Byzanz. Gesammelte Aufsätze zur Geschichte der byzantinisch-abendländischen Beziehungen and des Kaisertums, Darmstadt 1958, esp. 1 ff., 64 ff, 79 ff; see also general bibliography cited above, p. p. 156. (1) On the differences between the original text of Hadrian's letter ( Mansi 12, 1055-75) and the Greek translation read at the Council of Nicaea cf. my study, 'Rom und Hyzanz im Kampfc um die Bilderverchrung', Sem . Kond. 6 (1933), 73 ff. (2) W. von den Sttinen, 'Entstehungsgeschichte der Libri Carolini ', Quellen and Vor schungen aus italienischen Archiven und Bibl. 21 (1929-30), 85 ff., attempts somewhat unsuccessfully to explain the decisions of the Frankfurt synod as an attempt to find a solution by compromising; apart from this, his important study deserves special consideration. Cf. idem, 'Karl dcr Grosse und die JJbri Carolini ', N. Archiv d, Gesellschaft f. altere deutsche Geschichtskunde 49 (1932), 207 ff. 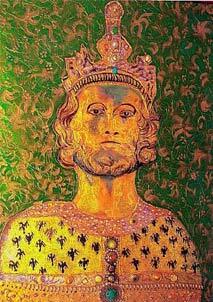 (3) The coronation was modelled on the Byzantine ceremony; cf. H. Eichmann, Die Kaiserkrönung im Abedland \ (1942), 23 ff. In the imperial election of Charles the Great, local Roman events played an important part, as is shown by E. Sackur, ' Ein romischer Majestätsprozess und die Kaiserkrtinung Karls d, Gr. ', HZ S7 (1901), 385 ff. This has since been increasingly and repeatedly stressed (cf. J. H aller, Das Papsttum II, 1 (1939), iB ff.). But such events do not, however, provide the basic reason for the imperial coronation of Charles, and the historic act of 25 December 80 0 cannot be explained as the outcome of the situation of the moment without greatly oversimplifying the problem. (4) Cf. Bibliography at the beginning of this chapter. A different vie is taken by L. Halphen Charlemagne et l'Empire carolingien, Paris 1947, 120 ff. (5) Theophanes 475,27. On this much discussed passage cf. W. Ohnsorge Orthodoxus imperator. Vön religiösen Motiv für das Kaisertum Karls des Grossen, Jahrb . D. Gesselschaft f. niedersächs. Kirchengesch. 48 (1950) 24 ff. whose stimulating, but oversubtle, arguments on Charles' position with regard to the question of icons I cannot however accept. Cf. my comments in BZ 46 (1953) ff., especially p. 155.